OMG! OMG! OMG! OMG! OMG! PLEASE TELL ME IF THIS IS TRUE!!!!!!! Gerard is engaged....and i know Frank's engaged. what i know is that is so stupid!!!!!!!!! dunno correct me if i'm wrong. AnimeFanOVGY, her name is Eliza Cuts. She is the band's haridresser. recent interview with a non-US newspaper. some Alicia lady and Frank is engaged too! Nope. 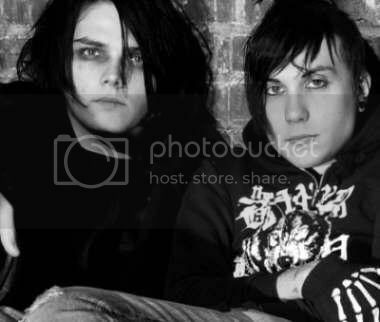 Olivia is NOT the fiance, But Gerard is indeed engaged. Alicia Stone and Frank... I dont know. Isn't Gerard married to Eliza Cuts Now? 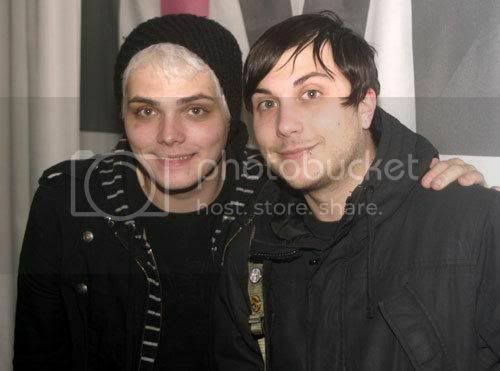 gerard is married and i think frankie is married to! the wedding for gerard and his girlfriend was canceled! MsEmo: Mcr my chemical surprsie read it's awesome!! !